When flying in to Sanford Airport it's best to have a reliable ground transportation company monitoring your flight and a professional chauffeur waiting for you. We wait for you, not the other way around. Your chauffeur will be holding a sign bearing your name ready to take you to your vacation destination. Sanford Airport is a smaller airport and Allegiant flies out of many smaller airports up North. Through the Winter months, many times there are issues with flights arriving on time. We track your flight so unless they cancel your flight, we will be waiting here for you when you arrive. Sanford Airport is located approximately 52 miles from Walt Disney World's furthest Resorts and Theme Parks. There is only one taxi company that has the contract to provide metered taxi service at Orlando Sanford International Airport. The estimated taxi fare from the Sanford Airport to the Magic Kingdom area is $127.00 and that's not including a tip. This metered taxi service is not only more expensive than a clean late model luxury sedan with a professional chauffeur, you are not guaranteed any particular type of vehicle as this is a downgrade in quality. We believe in providing the best quality service at affordable rates. We're the most reliable and experienced service provider operating out of Sanford Airport. Many companies are selling Sanford Airport transportation on the Internet and they are not licensed, (legally permitted), to operate as a commercial ground transportation provider at Sanford Airport. They do not see it as a necessity and would rather sneak in and out because if they get caught once they pay a one time pick-up fee. After they get caught twice they're no longer allowed to pick-up there. If they are caught again they are placed on a non-eligible company list. They will push their luck as many times as they can but when their luck runs out, it's the passengers that suffer. 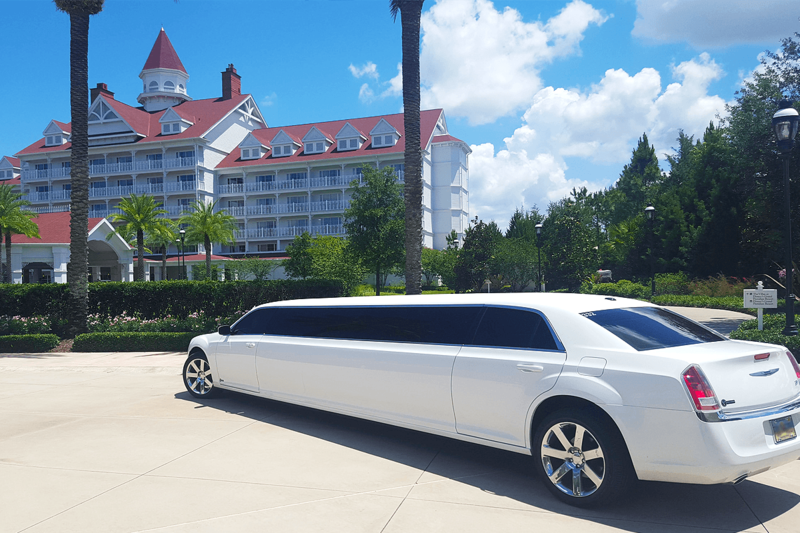 If you unknowingly reserve transportation with a company that is not on the list of eligible companies it can have a devastatingly negative impact on your vacation. We want an opportunity to earn your business. We permit all of our vehicles at Sanford Airport so no of our guests of ours are ever left stranded. We care about all families that visit and we want to be your family's friend in Florida.